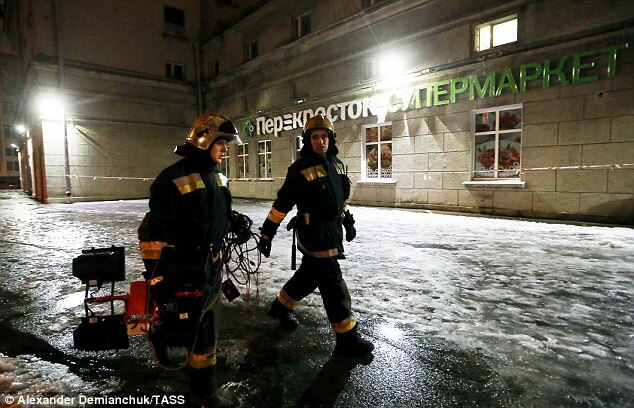 Ten people have been hospitalized with injuries after an explosion ripped through a supermarket in the Russian city of St Petersburg on Wednesday evening. 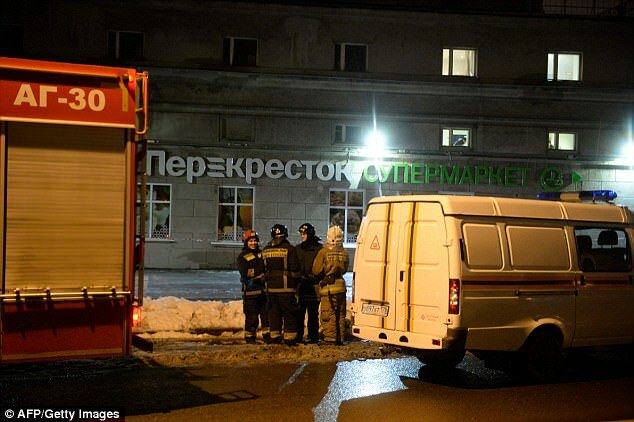 The explosion occurred at the Perekrestok market in northwest St Petersburg. No one was killed. The explosion was caused by a homemade bomb packed with pieces of metal with a force equivalent to 200 grams of TNT, investigators said. They have opened a criminal case on the grounds of attempted murder. 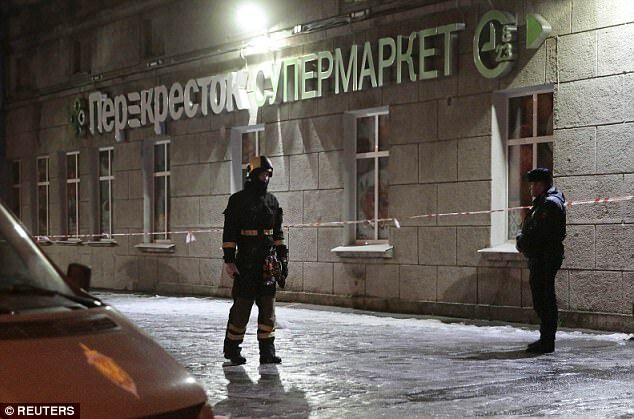 The bomb had been hidden in a locker where shoppers leave their belongings in a branch of the Perekrestok supermarket chain, according to local reports. 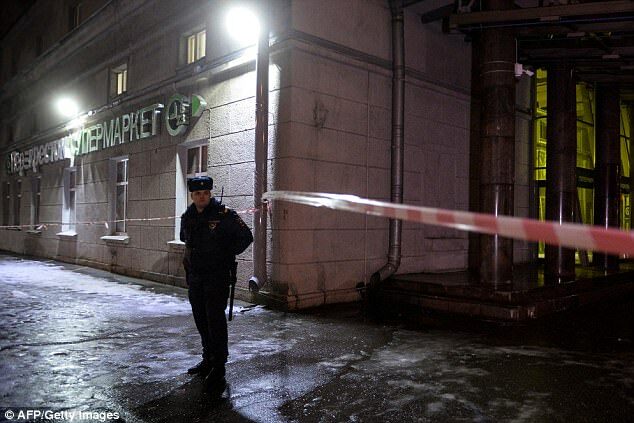 No one has claimed responsibility for the explosion at the market in the city’s northwest Kalininsky district, and the motive remains unclear. 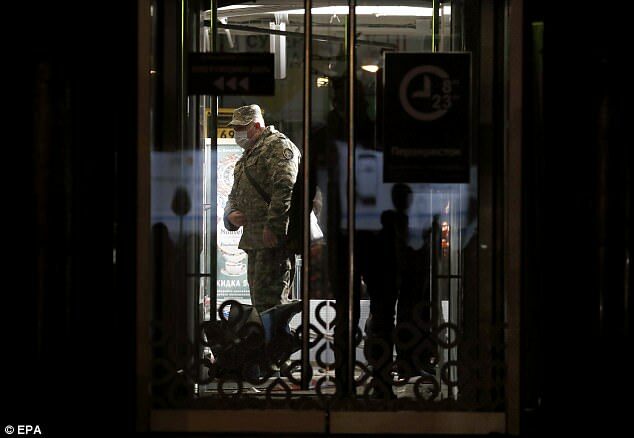 While officials stopped short of branding the explosion as a terror attack, the National Anti-Terrorism Committee that oversees anti-terror efforts in Russia said it was coordinating the search for suspects. 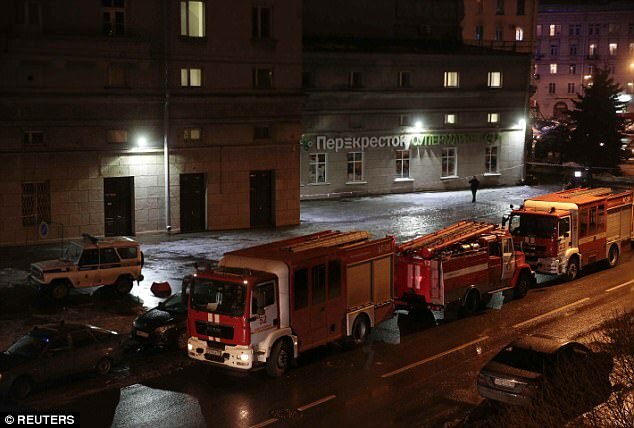 The Investigative Committee has sent experts to look into the explosion, and a criminal case was launched on the grounds of attempted mass murder. 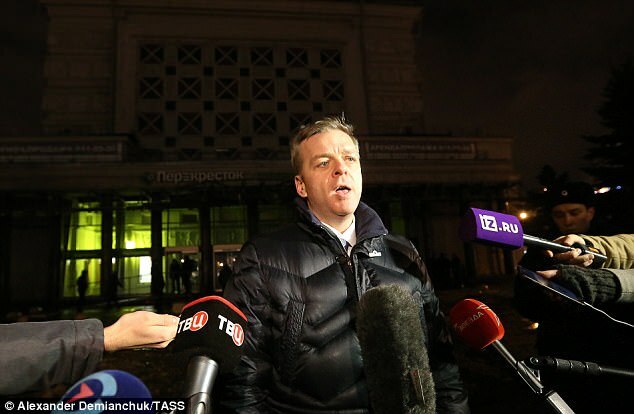 ‘All possible versions of what has happened are being worked on,’ Alexander Klaus, the head of St Petersburg’s investigative committee, told Reuters. 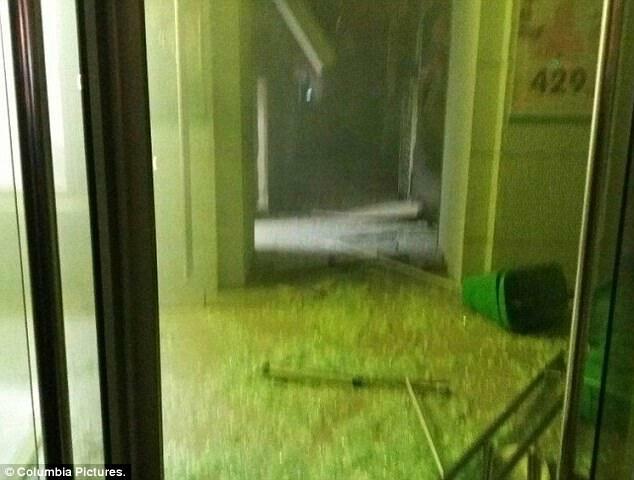 More than 50 people were evacuated from the supermarket following the blast. 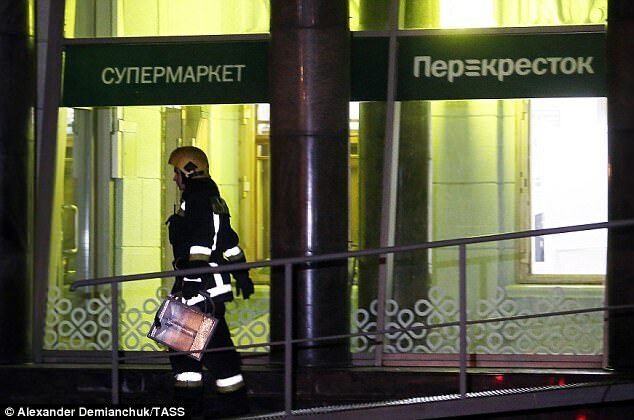 There were thousands of people inside the shopping complex where the market is located at the time of the incident. It was especially busy because of New Year celebrations. 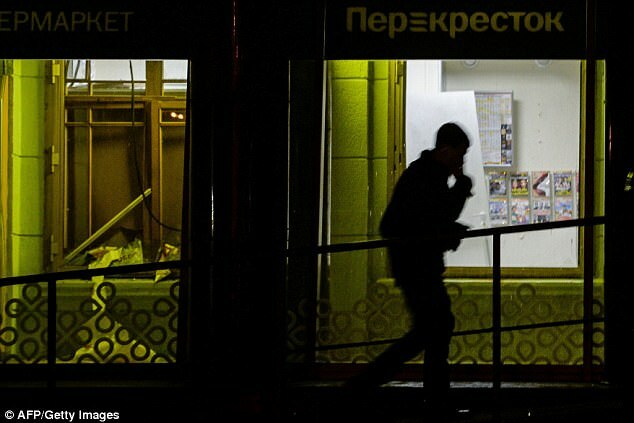 The Perekrestok supermarket is located on the ground floor of the Gigant Hall leisure center, in the northwest part of St Petersburg. ‘There was a bang. Emergency personnel are already on the scene. 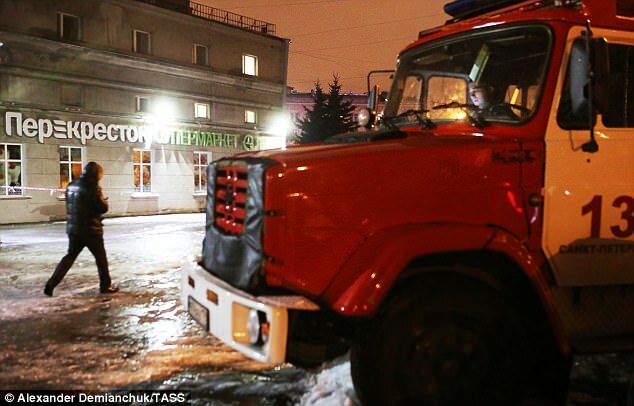 The evacuation has been completed, and there was no fire,’ a local Emergencies Ministry official told news agency TASS. 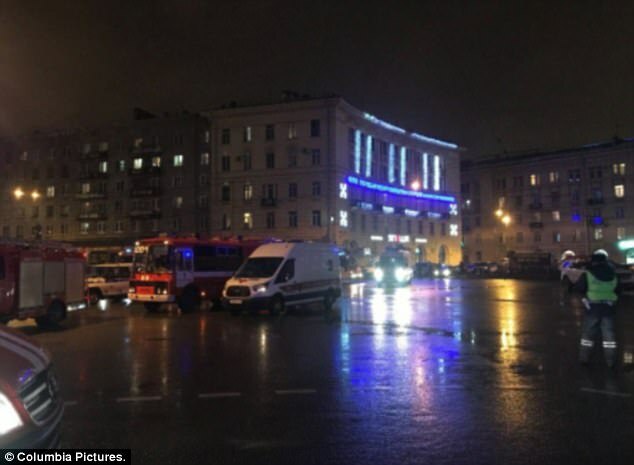 Video footage from the scene showed ambulances and police vehicles outside the market. 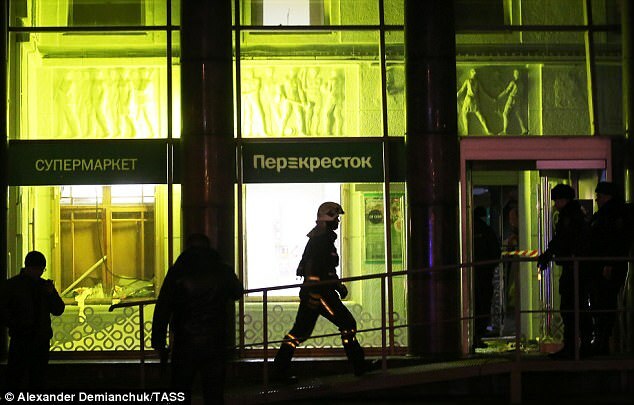 Structurally, the only a wall and a cash register inside the supermarket were damaged in the explosion. 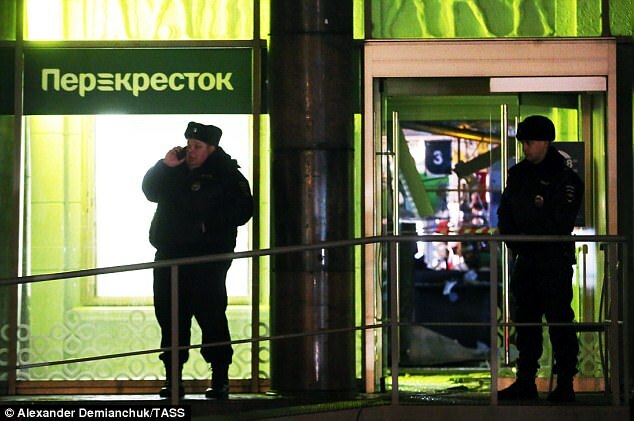 ‘There was no panic, but people were reluctant to enter a nearby drug store and a grocery store,’ Gordeyeva said. 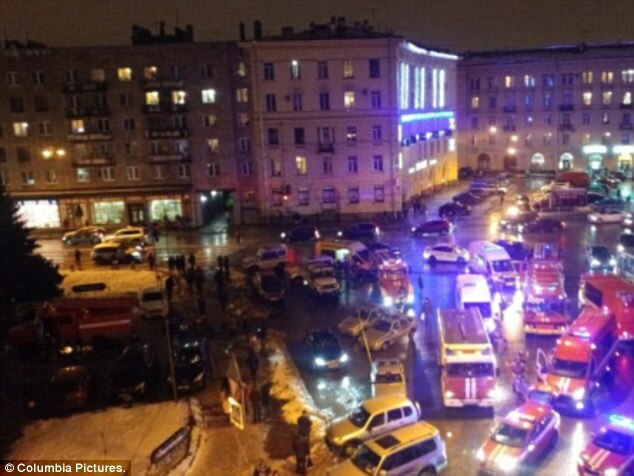 Another local resident, Marina Bulanova, a doctor, heard the explosion and rushed to the market to help treat anyone who might be hurt. She said ambulance crews already had taken those injured to city hospitals by the time she got there. St Petersburg is a major tourist destination famed for its imperial palaces and lavish art museums. Russian President Vladimir Putin telephoned US President Donald Trump earlier this month to thank him for a CIA tip that helped thwart a series of bombings in the city. 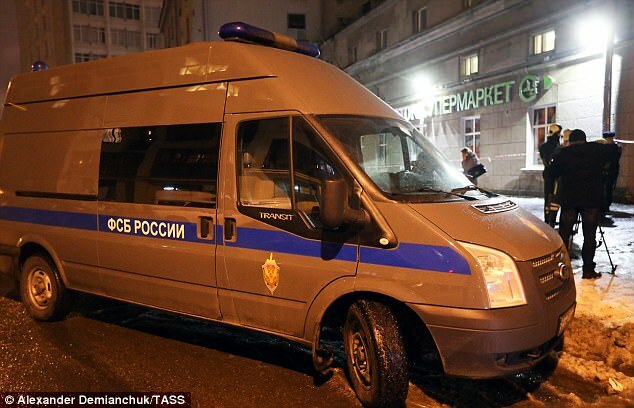 The Kremlin said the arrested suspects had planned to bomb St Petersburg’s Kazan Cathedral and other crowded sites. 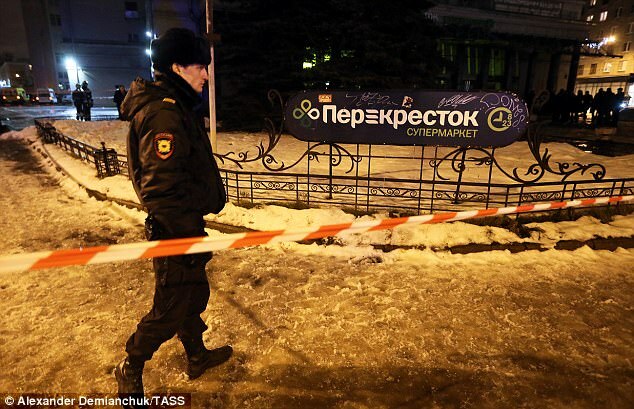 In April, a suicide bombing in the St Petersburg’s subway left 16 people dead and wounded more than 50. 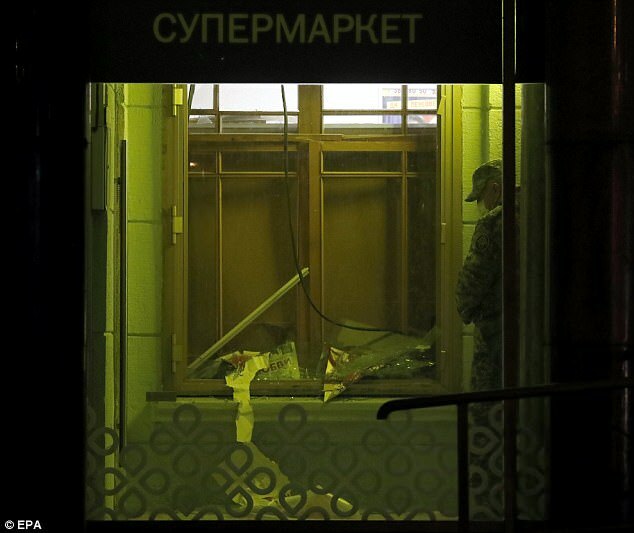 Six months earlier in October 2015, Islamic State militants downed a Russian airliner heading from an Egyptian resort to St Petersburg, killing all 224 people on board. 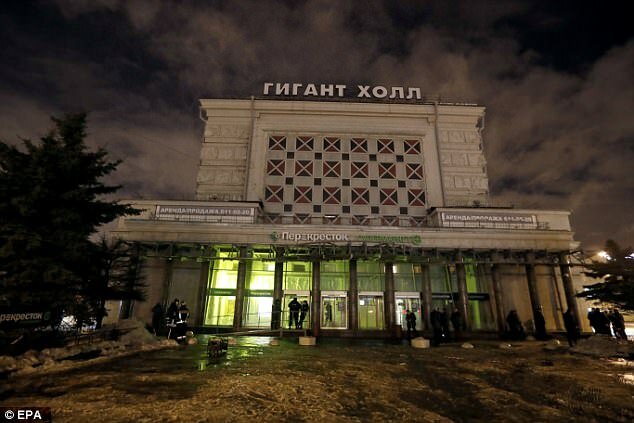 The December 25, 2016, crash of a Russian plane near the southern city of Sochi that killed 92 people, including members of the Red Army Choir, is also widely believed to have been due to a bomb, but no official cause has been given. 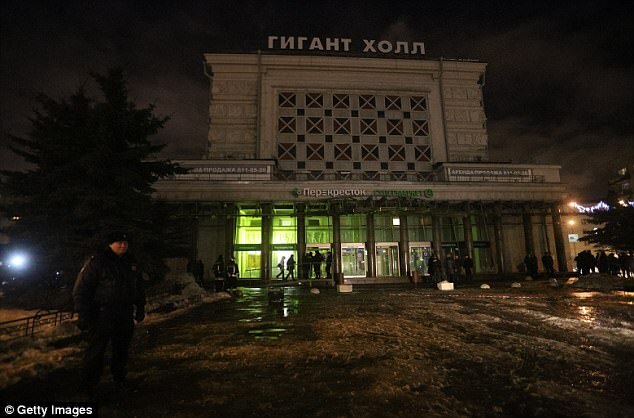 In 2013, two bomb blasts in two days in the south-western city of Volgograd left more than 30 people dead and 62 needing hospital treatment. 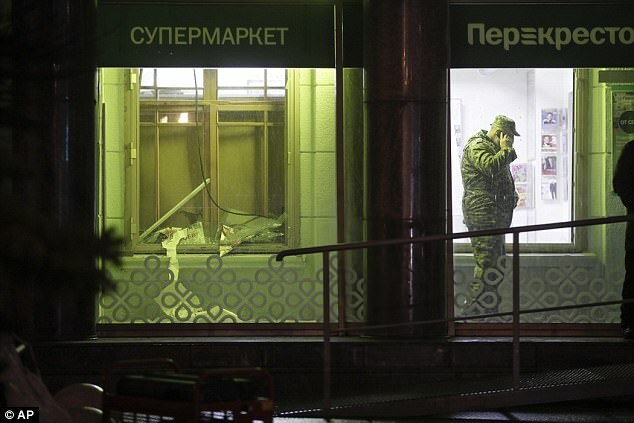 Three years earlier, two female suicide bombers killed 40 people and wounded more than 100 in the Moscow subway on March 29, 2010. 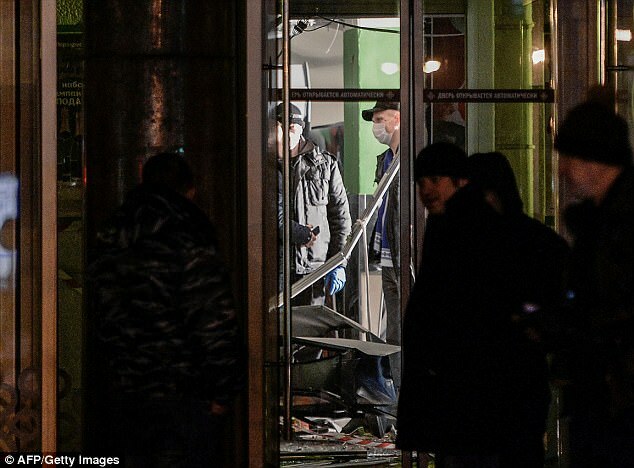 Chechen rebel leader Doku Umarov claimed responsibility for the attack, warning Russian leaders that ‘the war is coming to their cities’. 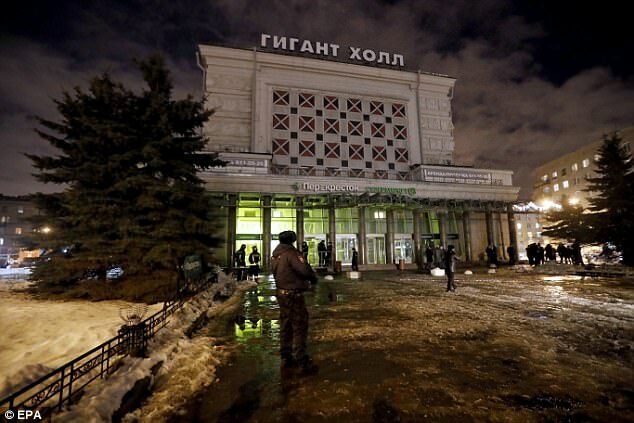 And in 2009, a bomb exploded on a high-speed train between Moscow and St Petersburg, killing 27 and injuring another 130. 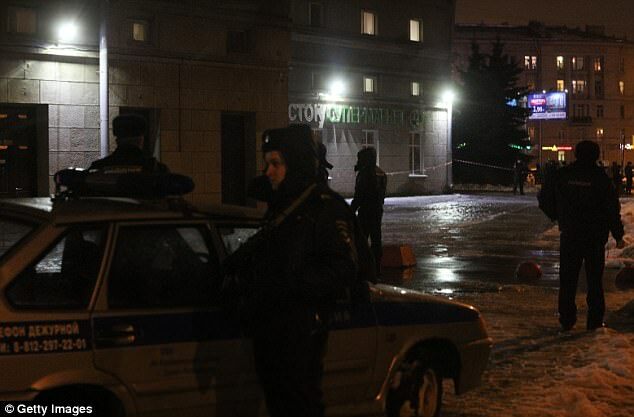 Umarov’s group also said he ordered this attack. 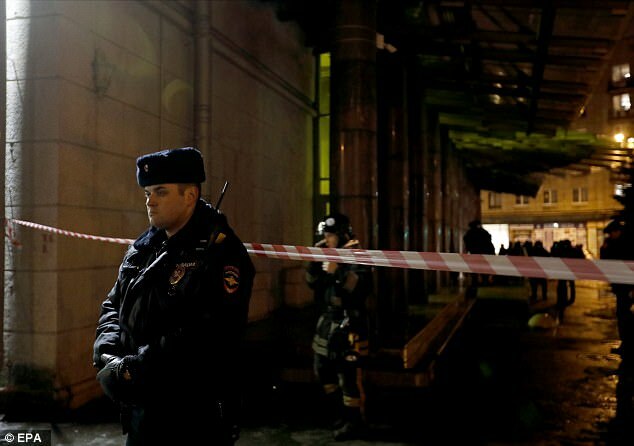 Russian airports also have been targeted. 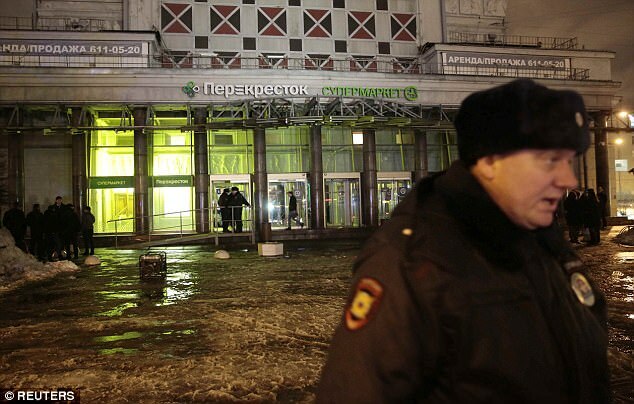 On January 24, 2011, a suicide bomber blew himself up at Moscow’s Domodedovo Airport, killing 37 people and wounding 180. The same airport in August 2004 saw Islamic suicide bombers board two airplanes and bring them down, killing a total of 90 people.